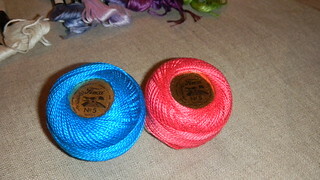 New at hand stitching and just picked up a few of these- not sure when to use something like this vs. floss. Also not sure what the various numbers stand for, guessing the gauge or thickness? Hoping to figure it all out, but just ordered a few so I could see the various options.